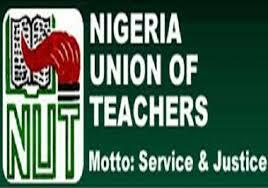 The Nigerian Union of Teachers (NUT) has endorsed the move by the Federal Government to sack those teaching in public schools without professional certificates by 2018. Its President, Michael Alogba Olukoya, who said this, noted that the professionalism drive of the teachers’ registration council is a right step in the right direction. He said the plan will make teachers to charge professional fees and correct wrong conception about the profession. The NUT president spoke while participating at the workshop organised by the Teachers Registration Council of Nigeria (TRCN) on Training the Trainers on the implementation of professional standards among Nigerian teachers. Giving kudos to the President Muhammadu Buhari-led administration and Minister of EducationMallam Adamu Adamu and the TRCN boss, Prof. Segun Ajiboye on the drive to rid the profession of quacks, Olukoya noted that those not professionally qualified must be shown the way out. The NUT president noted that allowing quack teachers to teach children would be a great disservice to the future of Nigeria, adding that professionalism is the way to enhance standards. “It is going to bring about change in the attitudes and change in the previous conception. It is going to improve the quality of education in our country. I must give kudos to the government of Muhammadu Buhari and the minister of education, who have made many pronouncements, that in Nigeria if you are not professionally qualified,you shall be shown the way out. “There should be a different between men and boys. You cannot give what you don’t have and we are concerned about the standards. In teaching, there should be no room for quacks because quacks in the classroom will damage the children and leave them more confused than they were before. “It is the responsibility of us in the NUT to ensure that this does not happen. This new development, sincerely, we teachers in Nigeria welcome it and we are going to partner with the TRCN to move the state of teaching profession to state of Eldorado,”he stated. TRCN Registrar/Chief Executive Prof. Olusegun Ajiboye said the implementation of the policy will begin in 2018, warning those yet to have professional certificate to take the opportunity of writing professional examination in October 2017. Ajiboye added that it was important to remove “cheaters” from “teachers”. According to him, those teaching in public and private schools must be registered to be professional teachers. The TRCN boss added that the Ministry of Education is working hard to ensure that teachers’ welfare are improved within the lifespan of the Buhari administration.